I am super, suPER, SUPER excited about this project I am working on. Several posts ago I mentioned that I am working on something & couldn't wait to tell ya. Well, I'm tellin' ya now! 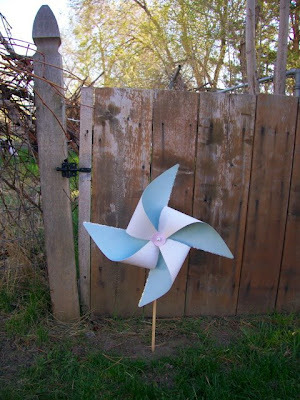 A customer of mine is getting married & has asked me to make a dozen of these pinwheel beauties to line each side of the walkway to lead her guests to the chapel. I've embellished each with a large pearl in the center. They've been hand cut with decorative scissors & glitterized! And get this--her colors are blush pink, periwinkle blue & white. TOTALLY up my crafty alley. Aren't they sweet??!! I'm finishing them up this week & shipping them Monday. Making these is QUITE a different change from making my wee pinwheel cupcake picks. They are monstrous in proportion! 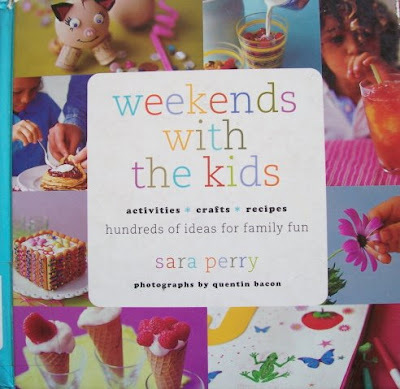 Here's the book I was talking about yesterday--the one I got the meatloaf recipe from. It's a library loaner & was published in 2002. I love the library. I could seriously camp out there. I bring home stacks of books every visit. I think I'm also helping to fund the new library addition/renovation with my um, library fees. It's not THAT bad. Look at these flowers I snapped a photo of at my grandmother's house today. They are called bleeding hearts. I have always been fascinated by these. They are so beautiful. They are actually native to Japan & I found a story--folklore of sorts--that goes along with the flower. Read it HERE. It is quite sweet & sad. I can't wait to share the story with my girls by taking the flower apart. I had to show this picture of my girls I took today. 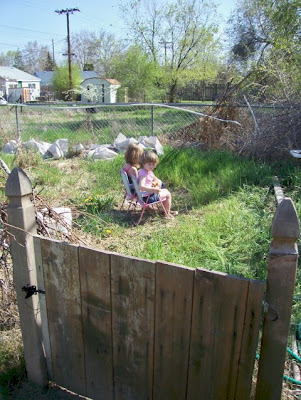 This is the "garden area" behind our yard. Of course there is no garden. It looks quite shabby, & not in a good way. Someday I'll clear it out & have it a nice space for something lovely. But for now, my girls love just being back there. I think they look like a pair of old ladies sittin' in their sun chairs just chatting the hours away. That's all they do. Just sit. It's funny! Today is a lovely 71 degrees! It's amazingly warm weather & I love it. But get this: it's supposed to snow on Sunday. WHAT? Flip-flops today, ear muffs on the weekend? Craziness. what a wonderful way to be involved in someone's special day! do u think u will get to go to the wedding? Love the pinwheels. What a great idea for a wedding! 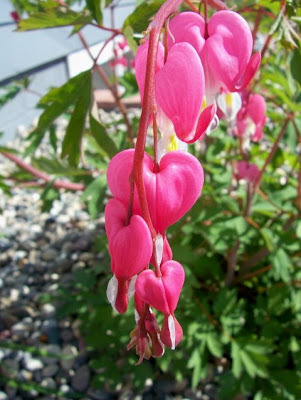 I miss the bleeding hearts that were at my father-in-law's house. I might have to get some now! I love how the girls are sitting there like they're watching a movie or something! Kids are so fun! Love the pinwheels! The pinwheels are too cute! Great job crafty girl. 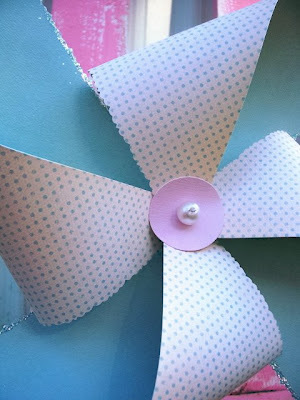 how awesome are those pinwheels and what a beautiful wedding idea, you look like you have done a gorgeous job.